My Magic Cleaners offers you a full range of services for cleaning of soft furniture in your home. Your sofa, couch, chairs, recliners, mattresses, curtains are unique and require special care. Our experts will restore the look of your favorite furniture - quickly, efficiently and at low cost. My Magic Cleaners are specially trained in the application of professional techniques for safe and fast cleaning of hard-to-wash fabrics such as silk, suede, velvet and more. Before proceeding to the cleaning of soft furniture, our upholstery cleaners will inspect the tissues and structures of each of your furniture to choose the best method for relevant material. Each of your chair, armchair, sofa, couch, curtains will receive the attention it deserves. In addition, your furniture will receive antibacterial treatment and deodorirane. The tissues of the soft furniture is subject to heavy load and wear, especially in large families. It is therefore important that they should be kept clean and in good condition to be preserved the good their appearance as long as possible. As well as carpets, soft furniture should be cleaned with a vacuum periodically to prevent the buildup of abrasive particles and damage of tissues. 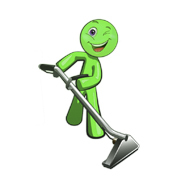 Vacuum cleaning must be carried out at least once a month. In addition, the tissues of the soft furniture is damage from direct sunlight, tobacco smoke, odours during cooking, and more. Continued use of the furniture, even under ideal care at home, leads to the accumulation of dust and bacteria, which affect the type and structure of tissues. The high temperature in the kitchen, damaging tissues. With skin and other tissues change and lose colour. This requires periodic professional cleaning of soft furniture 2-3 times a year. Only a professional fabric upholstery cleaning service can give you the satisfaction of a thorough cleanse even in tough to reach areas.